The school summer holidays started on a great note for the Museum on Sunday. Despite the variable Yorkshire forecasts, everyone was blessed with dry weather for the Vintage Props Day. Our collection of vintage propellor driven aircraft were all running sweetly around the museum as joining us were singing ensemble Micky And The Alka Seltzer Sisters with some lovely period tunes. Providing the perfect dancing accompaniment were the York Vintage Dance Group. The temptation to join in was strong in our younger visitors too, so impromptu lessons were enjoyed at times. SMJ Falconry came along and provided some of nature’s fighter pilots with a wonderful collection of birds of prey that our visitors were able to hold and be photographed with up close. Our highlight of the afternoon was, without doubt, the flypast from the Royal Air Force Battle of Britain Flight Lancaster. 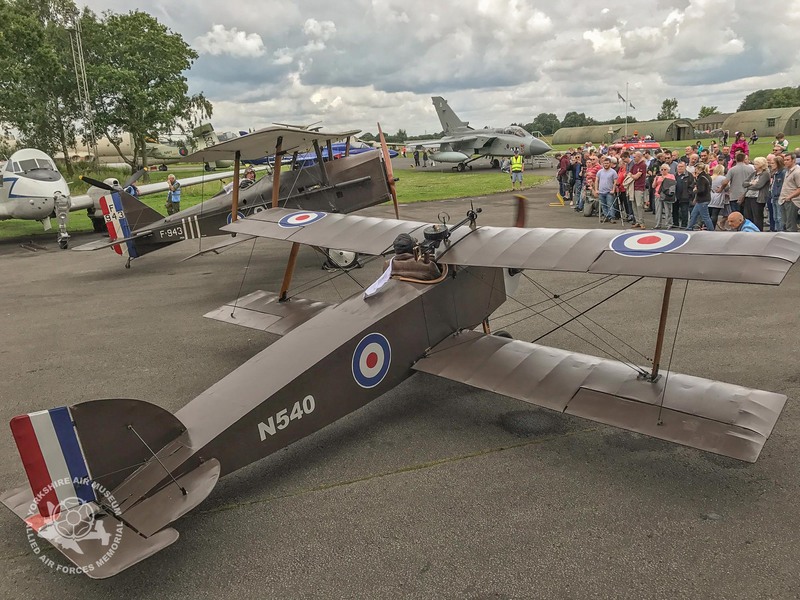 It was wonderful to see her fresh out of winter overhaul and the large crowds in the museum grounds obviously inspired her crew as she made some particularly spirited flypasts for everyone. Vintage Props Day was just the first in a whole series of family events scheduled throughout the summer holiday period at the Museum. Be sure to check our events calendar for more details of other great ways to spend a day out this summer and keep everyone in the whole family busy as they explore the Museum. Can you tell me what the ‘USAF’ people were up to last Sunday?.